Just in case you didn't process that one, yes, these condiments were harvested from the fruits of different emotions. And they're real and you can actually buy them. Imagine how interesting that would make your next dinner party. 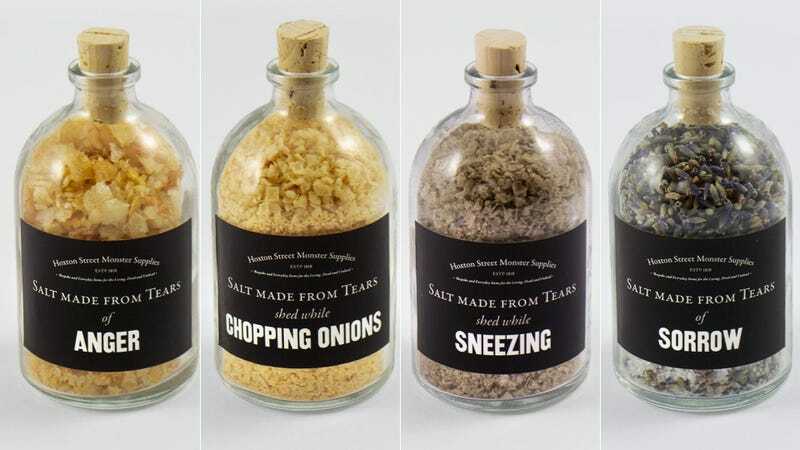 Offer your guests the option of adding flavor to their food with salt made from tears of anger, which would probably taste rather fiery; tears shed from chopping onions, which presumably have a bit of a bite; tears of laughter, which are likely sweeter; tears of sorrow, which have to be pretty bitter; and tears shed from sneezing which are just the strangest thing ever.